5 Guys jumped up and down while another 2 guys screamed "Otto!!!!!". 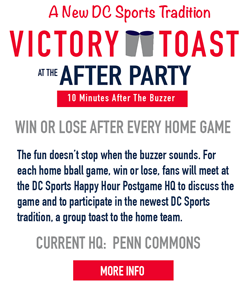 The entire crowded (standing room only) bar turned and looked at the cluster of red white and blue patrons puzzled as to why they were all clapping. 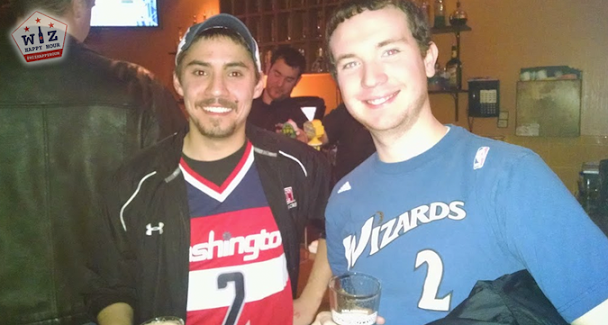 John Wall had just lobbed up an alley-oop to the former Georgetown Hoya and the $2 beers plus everyone's Wizitude had the bar bumping and the cheers flowing. And by the end of the game there were no questions. Everyone knew what was up.. 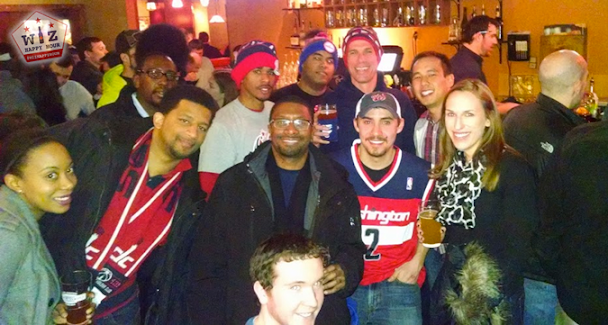 The Wizards are for real, and the fans are pumped up. 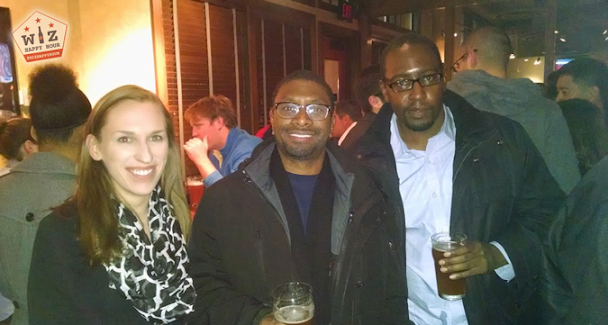 We had a great turnout at Rock Bottom on Wednesday night and unfortunately the game didn't end so well (what was that!?). On Wednesdays the bar has most of their microbrew drafts on special for just $2 til 9pm along with some other $3-5-7 food specials. The crew took advantage of this and by the end of the game everyone was feeling pretty good despite the loss. 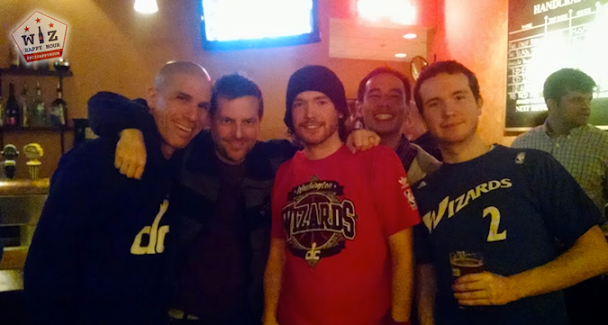 The event reiterated how fun it is to watch a game with other Wizards fans. 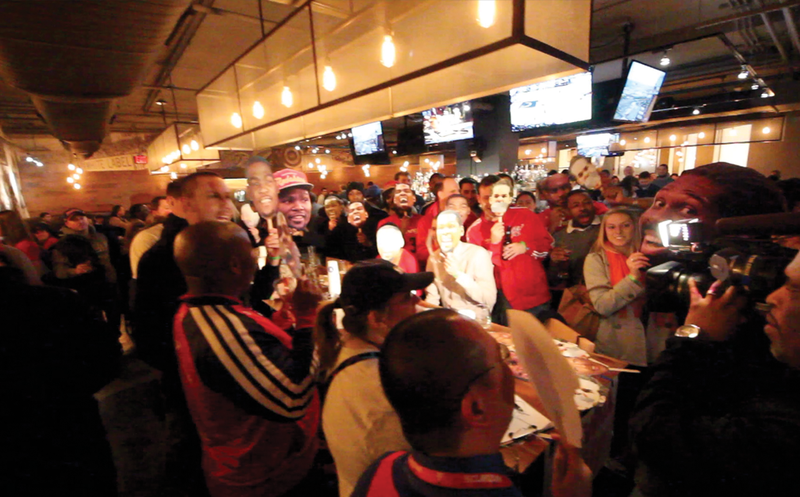 The bar was packed but we stood out and stood together clapping, cheering, chanting, and gasping the entire game. It is so much fun to talk basketball with those in the know, and to all become Randy Wittman together at the end of games. 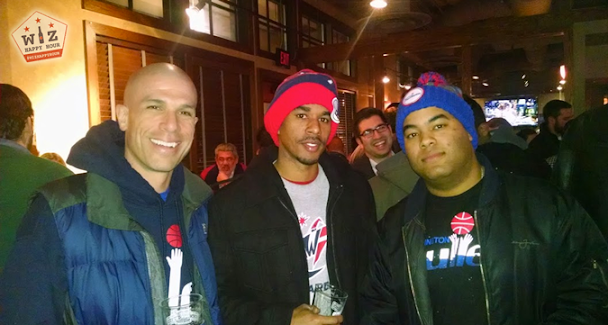 The happy hour was a great time and everyone was getting excited for Saturday night's Slam Dunk Contest watch party. 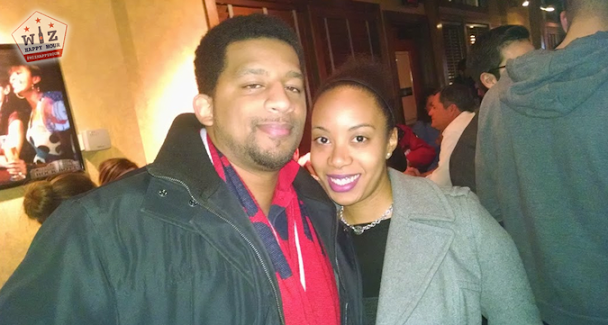 It is going to be a great time. We hope you can make it out and join us!